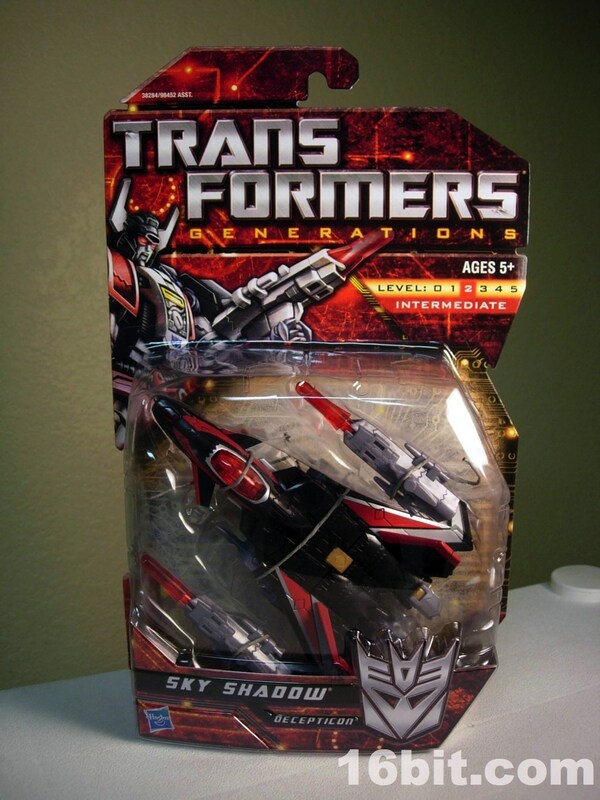 If you live in the USA, odds are you weren't aware that there were tons of Transformers toys in Japan that never saw release in the USA, including one Black Shadow, a revised version of Thunderwing. 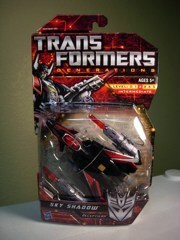 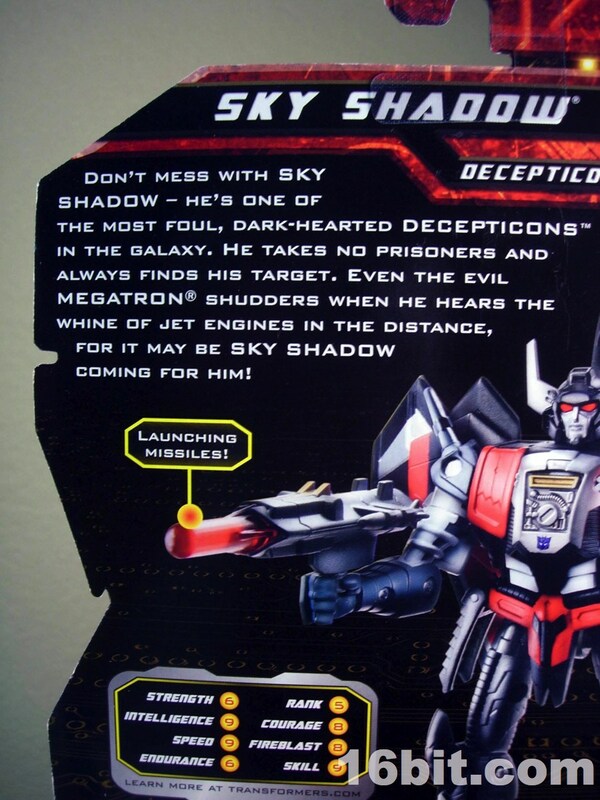 Well, Hasbro decided to make you very aware of the character with Sky Shadow. 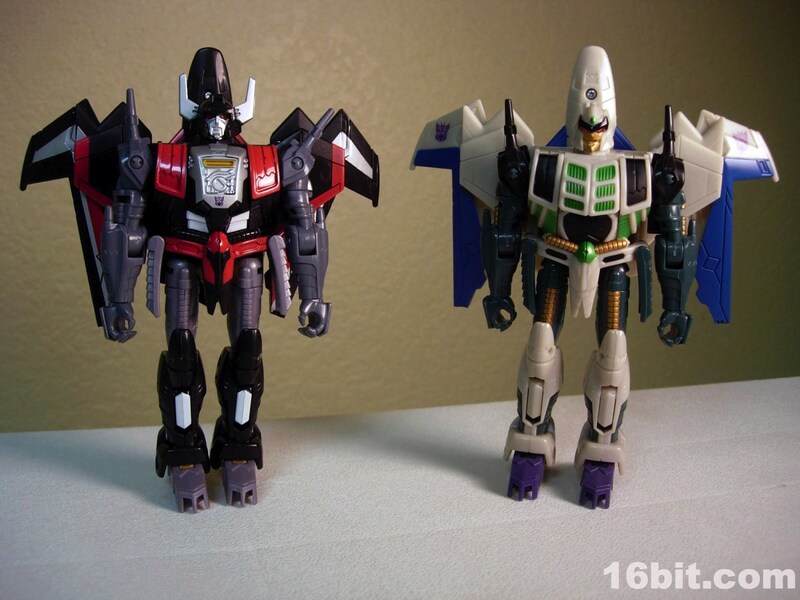 This recent release repaints Thunderwing and gives him a new head and torso, making it a very different-looking figure with minimal tooling costs. 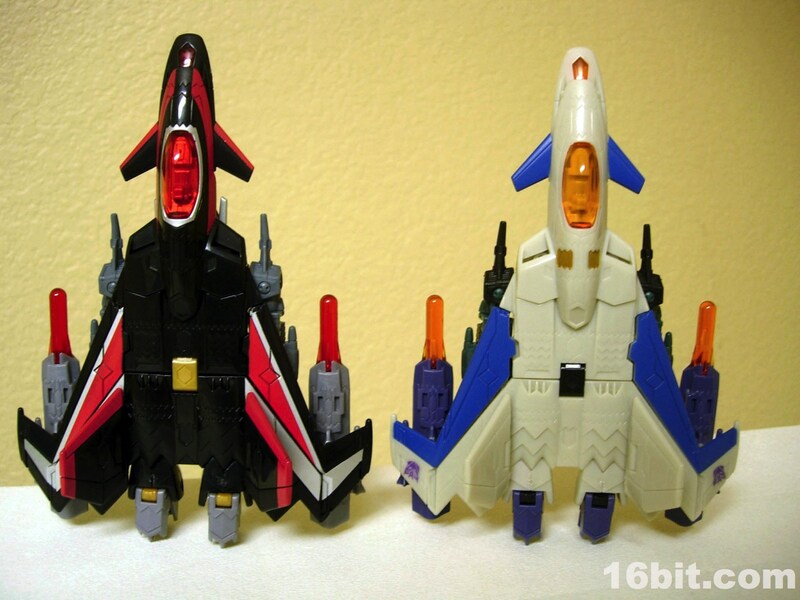 The transformation is basically the same, except now it has 100% more Space Mafia. 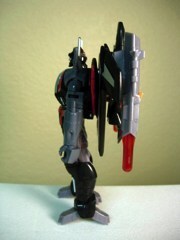 He has good stiff joints and a simple transformation-- you may not need instructions. 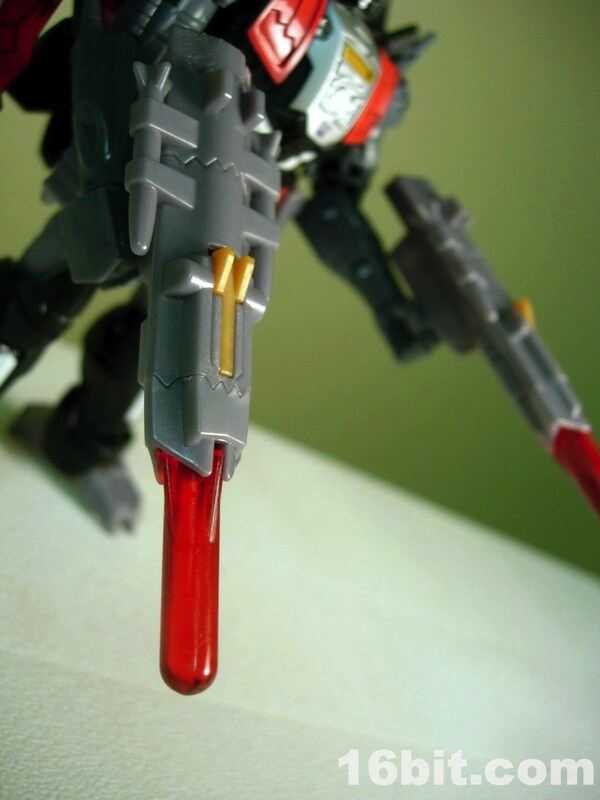 I like simple toys, so I enjoy this one not being a huge pain in the neck to deal with for a change. 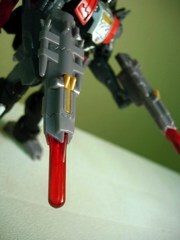 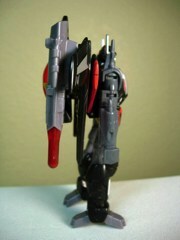 The twin guns can be placed under the wings, and each one has a red projectile. The weapons are basically the same as Thunderwing's, but in new colors. 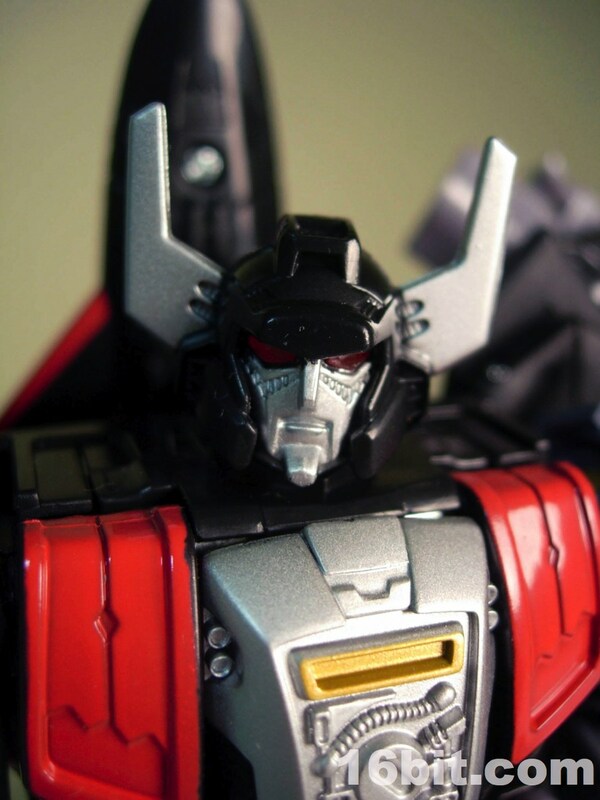 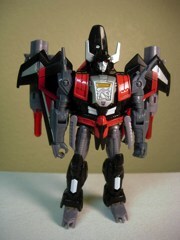 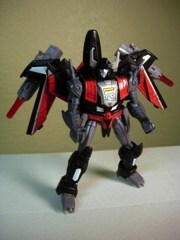 Mostly black with silver and red, he may look like an evil Dinobot from a distance. 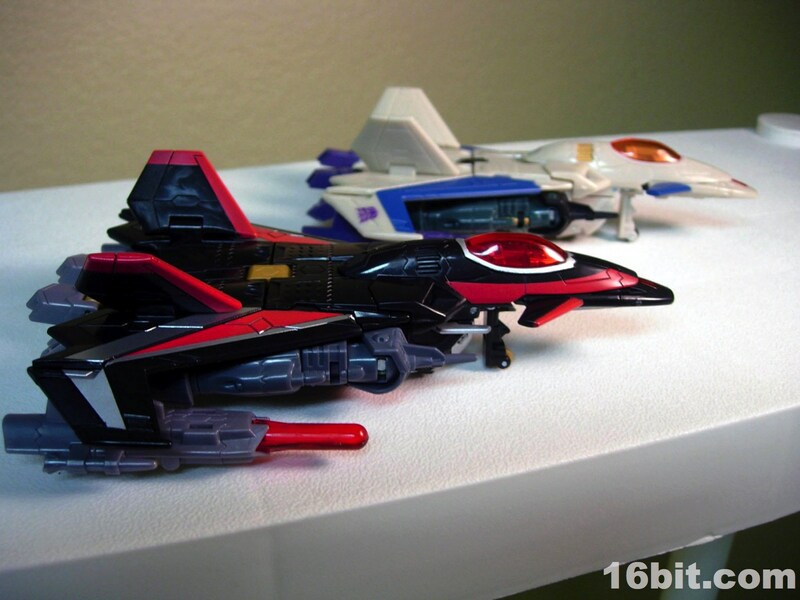 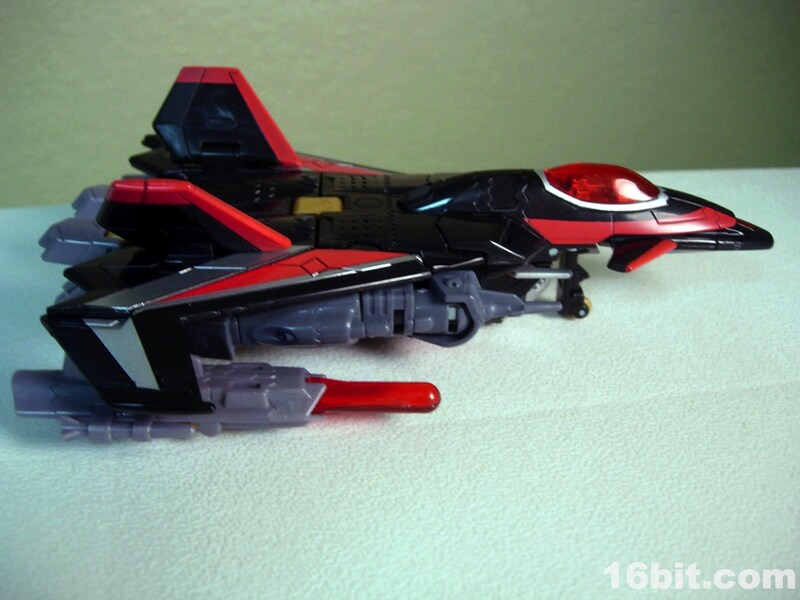 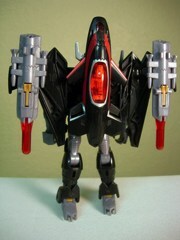 The plane mold is fundamentally the same as that of Thunderwing, but in black. 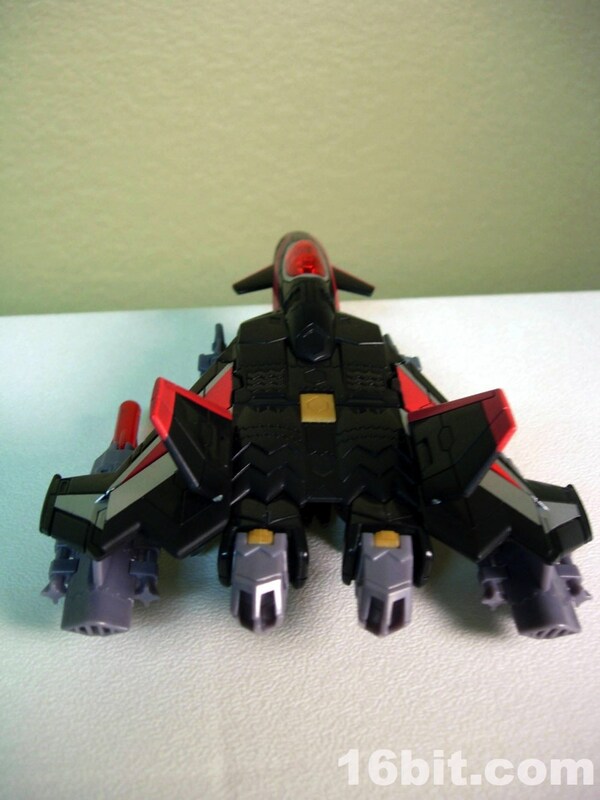 It has retractable landing gear and a nifty "drone" t hat can detach from the main ship to simulate the inner robot of the original Generation One Crossformer toy. 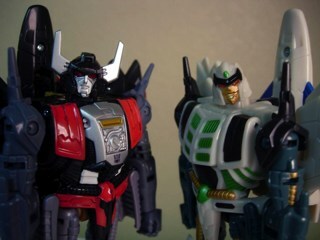 (Or Pretender, whatever.) Other than the firing guns and rolling wheels, the vehicle doesn't have too much play value beyond, you know, being able to turn into a robot action figure. 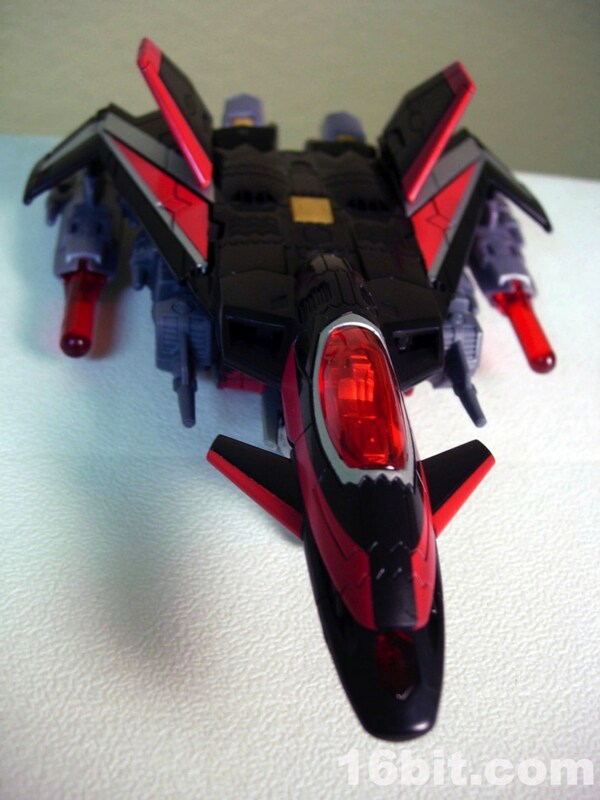 Which is, in all honesty, pretty damned cool. 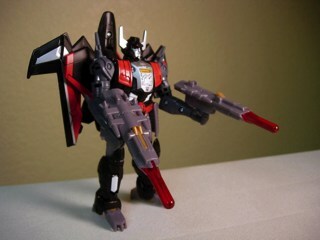 As I buy most (if not all) non-movie black repaints of Transformers sold in the USA, this was an easy buy for me and I think you'll like it too. 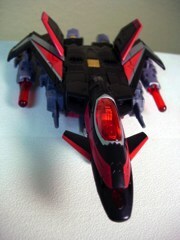 We get so few "classic" style toys sine the movie this year, and even though it's a remold I dig it. 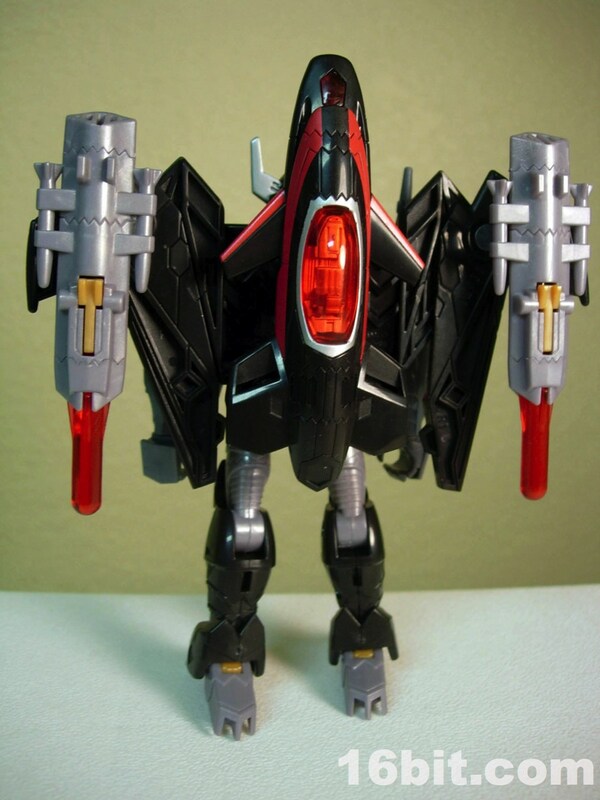 I was crazy about Thunderwing last year, as my driving around may attest to, and I think I might like this one even more than the original Decepticon warlord. 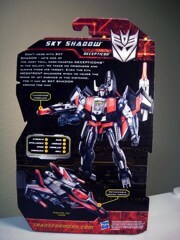 If you like classic-ish toys or have shelves of Energon and Cybertron toys around, you're committing a crime by not buying this one. 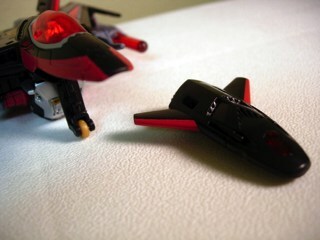 Which I guess is appropriate... because Space Mafia. If older Classics/Generations/Universe toys are any indication, as one of the final figures in the line he may get expensive if distribution is poor. 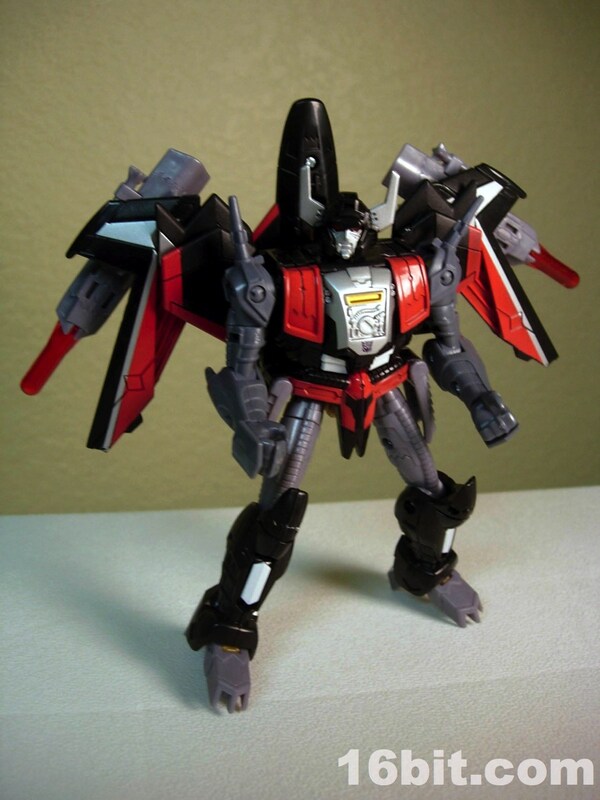 However, as he's a lesser character in the mythos, it's possible people will just shrug and move on to the toys from Transformers: Prime. 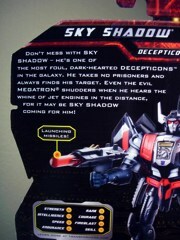 Either way, I'd suggest just buying it now instead of gambling. 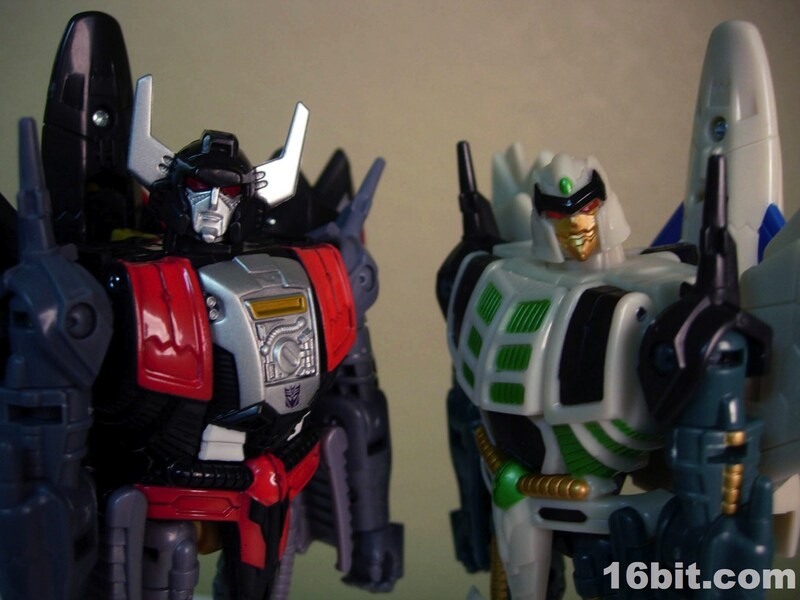 It's too neat to skip.